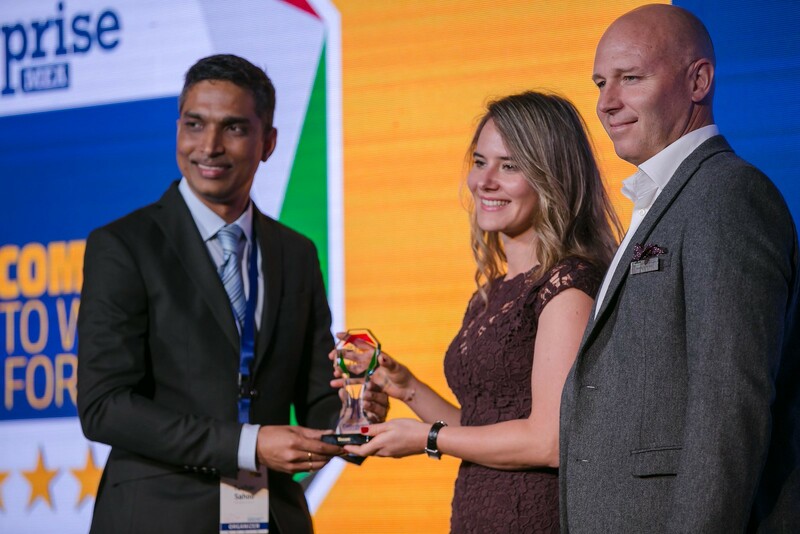 We introduced the Catalyst Awards in 2015 — the first of its kind award ceremony in the IT media world, that attempts to recognize and honor the trailblazers in the industry who have been uplifting the brand and reputation of their respective organizations in the market and truly acting as ‘CATALYSTS’ in the ever-changing market landscape. This year, it is once again time to recognize the force that creates the Catalyst of our Industry - The Organization !! Introducing for the 1st time in the UAE , "Top Ten Best IT Companies to Work for in 2017” , by Accent Infomedia ( The fastest growing Technology publication and event company) , a one of its kind recognition in the region for the IT Fraternity that would celebrate the 'Exuberance' of the people working in an organization. This special recognition felicitates and recognizes both fast-growing & established companies in UAE that offer tremendous career advancement opportunities together with leading-edge employee perks and benefits and most importantly valuable employee engagement. Engagement, Empowerment and Success go hand in hand. Better engagement means better productivity. Companies whose employees are engaged perform better than companies whose employees are not by over 200%. When employees are engaged at work, they feel a connection with the company. They believe that the work they're doing is important and therefore work harder. By simply changing the employee engagement we can change our IT community , workplace & company result too. Let’s build a better connected community. As modern corporate, we spend a good part of our life at our workplaces. Gone are the days when workplace was just a 'place' to go to. Today, your workplace is more of a training and learning stage for you, rather than a mere nest for earning your bread and butter. Its symbiotic! Happy Organizations create Happy Employees! Measure, recognise and improve the effectiveness of your managers with our leadership development. Thrive in turbulent times by focusing on clarity of purpose, principles and employee engagement. To know, in precision, what an employee feels about his/her organization, our core team designed one of the most extensive employee survey to identify the 10 Best IT Companies To Work in UAE. Two-thirds of the survey is based on Employee engagement, Career development, also asks questions related to employees’ attitudes about management’s credibility, overall job satisfaction, and camaraderie. The other third is based on responses to the Work Culture , which includes detailed questions about pay and benefit programs and a series of open-ended questions about hiring practices, meth- ods of internal communication, training, recognition programs, and diversity efforts. Each question have points from 1 to 5. Integrity - Our management and core team takes great care to produce the list along with advisory board with high level of ethics and fairness. Data protection & Privacy - Employees survey data and information are highly confidential. The information is not disclosed to anyone, not even the participants. • Employee information- The survey does not ask for the employee name or any personal information. The survey is tagged with an IP address and the same person would not be able to take the survey twice. However, a minimum number of response would be required as per company size in order to be qualified for the competition. Organizations with fewer than 50 employees must gather at least 50% employee survey responses. Organizations with 50-150 or more employees will be required to gather completed survey responses from at least 30% of their staff. Organizations with between 151 and 500 employees will be required to gather completed employee survey responses from at least 20% of their staff. On the basis of the organization headcount and overall employees response and points winners will be declared along with Catalyst Awards - 2017. Note:After evaluations are completed, if news about a company comes to light that may significantly damage employees' faith in management, we may exclude it from the list.